25+2, a challenge for you! We at CFH have a new challenge for our card makers. Our goal with the cards we make and send to the service members is to help them stay in touch with their families and friends while on their tour of duty. We are getting more and more requests, and with the slow summer ahead, we are hoping to get your help in filling those needs! We send Any Hero notes when we have them, and those receiving the box of cards try to make sure that those service men and women who don’t get mail from home receive one of those notes. Well it has come to our attention that our service men and women also don’t always get a birthday card on their birthday. How depressing would that be??? Here you are thousands of miles away from home, serving your country and your birthday rolls around with no mail. Now…..that is probably not because your family didn’t think about you and mail you anything…..it most likely is because the mail delivery has been delayed. Turns out some of our recipients have been stashing some of the birthday cards to have fellow service members sign so that they do get a card on their birthday. So it’s 25 + 2 for summer! SO……..your challenge is two fold. Next time you send one of us a package of cards, we would like you to try to do these two things. Make 25 blank cards, any theme, for heroes to write home on! Make a birthday card and SIGN IT with a birthday greeting and short note, AND use one of your cards and write an Any Hero note in it! Now if everyone sends these two cards with each package that you send in, we will have a good supply of notes to send with each package. There are times we have no Any Hero letters to send and that is just a shame. With summer coming, think about those picnics or gatherings you might be going to for Memorial Day, 4th of July or Labor Day. Bring some cards and pens……..lay them out and tell people about them. You might just be surprised at how many would be willing to take 5 minutes to write a short note. They’ve wanted to thank a hero and might have been too awkward to do it in person, but a note is the perfect opportunity to share what they want to say! When you mail these notes to us, make sure to leave the envelope unsealed as we need to be able to look at them first before mailing. We hope you will accept this challenge. Trust me when I say……It will bring a smile to lonely hero’s face!!! A nice article was published about CK’s card drive at their event recently; check it out by clicking here. It’s a great “template” for an article if anyone’s holding an event in their community . . . contact your local paper and see if they’ll publish a story about your efforts! Here’s a tutorial intended especially for new cardmakers—but hopefully with some tidbits for all levels of crafters. If you post a card made from this tutorial on a blog or in a gallery, leave a comment on this thread with a link, so we can all go check it out! A dozen crafters + 6 hours = 275 cards! “Did we ever have fun!” Keri says. They had almost a dozen women in attendance throughout the time set aside for crafting. These fantastic ladies produced a grand total of 275 cards to send to our heroes! “It was a very fun, and fulfilling day for us all,” Keri says; and now just imagine the 275 heroes, plus 275 loved ones, who will be blessed by that fun! Check out more pictures from this event in our Events Gallery, and visit Keri’s blog post about this party by clicking here. Thank you so much for the box of cards you sent – they are greatly appreciated & are being distributed to my unit. We are so lucky to have so many people at home that support us! The cards that I am able to send home really brighten my family’s day. A million thanks to you and all who have spent time and money into this project. WOW!!! Thank you sooo much for the box of cards you sent us! Myself along with the rest of the soldiers in my company/Battalion/prob. even brigade will be sending mother’s day cards home now 🙂 They’re so nice! We are sooo lucky to have great people, like yourself, supporting the troops while we’re here and you guys especially so we can keep in better touch with our families! Thank you so very much. It’s with great sadness we’re saying goodbye to one of our longtime shippers, Claudia! She’s been so wonderful to work with, and has been a blessing to our heroes, our cardmakers, and all our corporate partners – and we’ll be missing her! Claudia has other irons in the fire that need her attention, so we’ll reluctantly bid her a fond farewell. Please leave a comment on this post for her to thank her for all her faithfulness! NOTE: If you have cards in transit, or send them without seeing this notice or an email, please know Claudia will continue shipping what she already has and receives. It always takes a while for us to transition shippers. Please begin mailing your cards to Fabre (Massachusetts) or Kris (Kansas), they both have some huge battallions waiting for cards, and would love to receive your beautiful creations and pass them on! 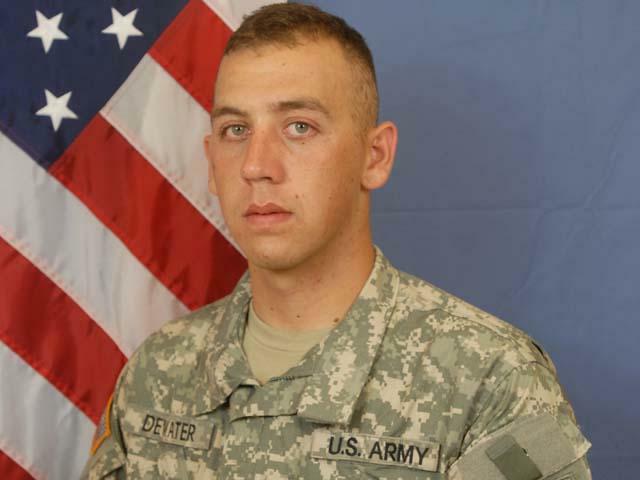 Rick was killed by an improvised explosive device during an ambush, while on a dismounted patrol near Korengal Valley, Afghanistan, April 15, 2009. He was age 21 at the time of his passing. The New York Times produced this stirring—and hard to watch—piece on the incident. Warning, this is not for sensitive people, but should be watched by all who want to understand what our service members risk for us every day. Click on the image below to play the slideshow. Make a financial gift in his name to Cardsforheroes.org to help our boxes get out to more heroes. Rick’s wish, according to his father, would be that we keep supporting those deployed overseas, especially in the Korengal Valley where he died. Give by paypal, check or cash. 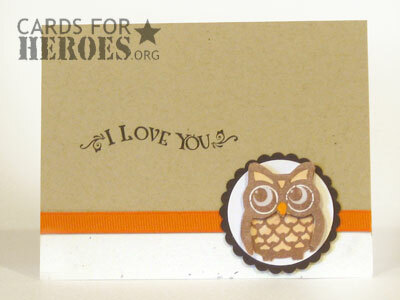 Make a commitment to write AnyHero cards in Rick’s hono.. Make sure no hero goes without a thank-you from the homefront. Send them to any shipper—it can be one, a few, or many. It can be just you, your family, or your club, school, or church. Make a commitment to make blank cards in Rick’s honor. Bless other heroes and help them keep in touch with their loved ones. Choose an amount that works for you, and think of this fallen hero while making them. Write a card for the family and send it alone or along with your other donations to any one of our shippers; we’ll pass them on to the family. It’s up to you how you might feel compelled to honor him and all the other young men and women putting their lives on the line for us all. If you want to make a public commitment that the family can read, you can post it as a comment on this thread, and/or click here to view and sign their guest book. I appreciate your help to keep in contact with home, if it wasn’t for these cards, I wouldn’t write at all.